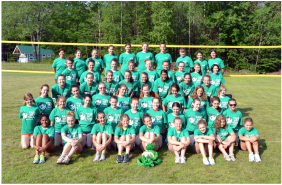 Gilford volleyball coach Joan Forge runs her ‘Pass, Set, Spike’ camp for the 14th year​. Pass Set Crush provides a little of everything. GHS Coach receives award from National Federation.